Do people collect data that is useless or unnecessary? How can a company decide which data to collect? Are there common metrics/strategies that work across the board or does it change on a case by case basis? What key changes have you seen in analytics and analytics tools over the past few years? 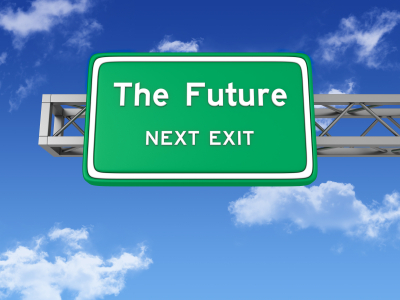 What do you see as the future direction of analytics? Is there a gap in experts who can provide analytical skills? BC: For me, the BIG challenge moving forward is the ability for tools to be able to stitch together the multi-device world. The explosion over the last two years of smartphones, smartTVs and tablets means that the user journey is one that the current tracking technologies (i.e., cookies) cannot cope with. For example, one person using all of these devices online is currently tracked separately as 3 different unique visitors. Combine this with the fact that smartTVs and tablets are often shared devices at home, and you can see the problem rapidly becomes untenable. Solving this issue, is the where the industry needs to head if web analytics is to remain a viable tool for marketers and website designers. Incidentally, companies such as Microsoft, Google and Apple (and may be Samsung) are capable of solving this issue as they control the “Internet view.” However, apart from the technical challenge there are also privacy issues. Privacy is something that has been in the background since the beginning of the web and has only recently started to become more publicly discussed by the mass media. The industry need to balance the tracking needs of website owners with the right to not be tracked as an individual. My view is that this is a much greater challenge than the technical problem. See my post Google Analytics and the new EU privacy law #3. On a different note, a number of industry luminaries advocate that web analytics will soon merge with business intelligence — I am not so sure. My reasoning is that the vast majority of visitors to your site are anonymous, with only a small fraction (typically 5 percent) going on to identifying themselves either by registering, subscribing or purchasing from you. I see the future of analytics in Business Intelligence. Companies now understand that Web data is just one type of data that needs to be integrated with other forms of data. And, the visualization and reporting requirements of companies are maturing beyond the simple possibilities of most traditional Web analytics providers. Hence, I think the timing is right for tools like QlikView and Tableau to be the next step for many companies. Then followed by more traditional BI options in a few years.